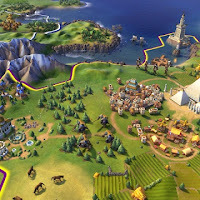 Amenities in Civilization VI (Civ 6) are an important part of overall satisfaction in your cities. If you lack amenities, the growth and productivity of your citizens will decline. One reason why you should provide sufficient of amenities because when you are aiming for the victory, you should ensure a good mood in the population, as war fatigue diminishes. Likewise, bankruptcy is strongly reflected in the feasibility. 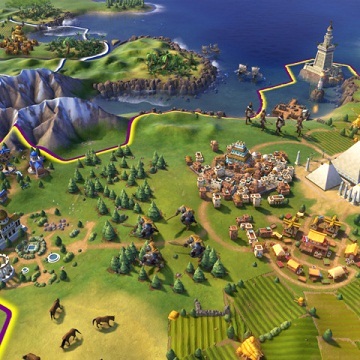 In Civ 6, you have the opportunity to increase your comfort with entertainment. But that's not all, for great personalities, politics, diplomacy and resources can have an influence on the happiness of your civilization. You need 1 per 1 citizen. This calculation takes place as soon as you have 3 citizens in a city. In short, your city grows and grows and needs continual amenities. Ensure improvements at regular intervals to keep your city constant growth. You should remember that each city alone calculates its amenities. So it does not matter if your capital is a pure leisure park, while the other cities resemble a cemetery. One of the best and most casual ways to get extra amenities is to try as many luxury items as possible. However, these are tied to the randomly-generated terrain fields, but you can occasionally buy an additional terrain for some gold to get a desired luxury resource. A convenience is generated for every luxury item. By trading with other factions or city councils you can also negotiate the desired resources and thus fulfill the wishes of your population. When you declare wars or you are in war for a long time, your people suffer from war fatigue, which gradually lowers the amenities. Try to finish wars quickly or have enough amenities to keep your productivity grows at the same pace. - Political Philosophy - Classic Republic (Government Form): All cities with a special district receive 1 amenity. - Enlightenment (economy): For every city with at least 2 special districts, you get 1 convenience. - Public service (military): Each city with a defense force receives 1 amenity. - Propaganda (Military): The increase in war fatigue is reduced by 25%. - Right to vote - New Deal (economy): You will get 4 living space. - Class Struggle: No war fatigue when fighting on your own territory. - Totalitarianism: 25% less war fatigue is produced by warfare. - Alhambra: You will receive an additional military strike in which you can use a policy that lowers the tiredness of war. In addition, you receive bonuses on entertainment, 2 points for great generals and a defense bonus. - Colosseum: Each city gets additional amenities and 2 culture as well as 3 on entertainment. - Estadio Do Maracana: Through the professional sports you get 2 amenities in each city and 6 culture as well as 2 entertainment. Not all of the great personalities listed here give a direct bonus to comfort, but also war fatigue and bankruptcy affect the satisfaction. Also, the availability of living space, which is why we want to show you personalities that can be benefited to each of these factors. - Jane Drew: You will get 4 living space and 3 amenities for a city. - Joseph Paxton: Buildings in a district bring 1 convenience and it expands the boundaries of the city. - Nikola Tesla: You will get three additional areas for the city and 2 production. - John Roebling: You get 2 living space and 1 amenity for a city. - Mimar Sinan: You get 1 living space and 1 amenity for a city. - Estee Lauder: You will get the Perfume luxury resources. - Levi Strauss: You will get the Jeans luxury resources. - John Spilsbury: Produces the toy luxury resource which brings 4 amenity. - Helena Rubinstein: You will receive the Cosmetics luxury resources. If your convenience in a city falls too much, it can lead, in addition to restrictions in production, even to the formation of supporters, which can become very dangerous.